Prepare for the long weekend ahead with free MAX balls on WGT through Saturday! 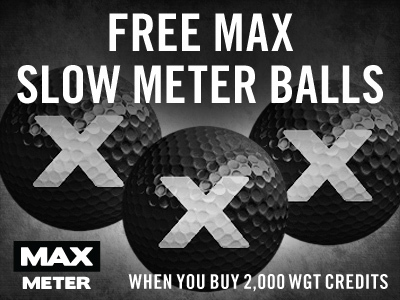 Right now, get 3 free MAX Slow Meter virtual golf balls when you buy 2,000 or more WGT Credits in the game. Use your WGT Credits to upgrade your virtual equipment and compete in paid games for prizes. Just buy 2,000 or more WGT Credits from noon (PT) today through Saturday (5/25/17-5/27/17) on WGT Golf, and get 3 MAX Slow Meter virtual golf balls (Hack+). The week's almost over and we needed a beer, so we thought you might like one too – and by "beer" we mean virtual beer tee markers and flags! 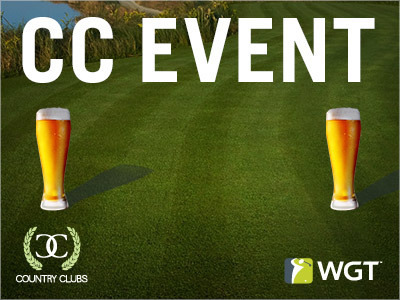 Compete in CC Event #48, going on now through Fri, 5/19 for your chance to win in-game rewards, including these beer tees and flags...a welcome sight as you make your way around the course, we're sure. CC Event #48 runs 5/18-5/19, with multiple 4-hour Clashes, so be sure to play as many games as you can for your club and keep your eyes on the leaderboard. While you're celebrating mom and watching the pros compete this weekend, we're giving you another reason to get excited... 50% more XP! Today and tomorrow, you'll get 50% bonus XP (experience points) when you play WGT, that will help you level up in the game, unlocking new equipment and features. Compete in CC Event #47, going on now through Fri, 5/5! 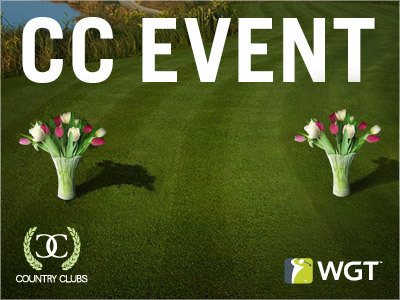 Play today and tomorrow with your WGT Country Club and compete against other clubs for fun and in-game rewards, including these flower tee markers and flags. CC Event #47 runs 5/4-5/5, with multiple 4-hour Clashes, so be sure to play as many games as you can for your club and keep your eyes on the leaderboard. 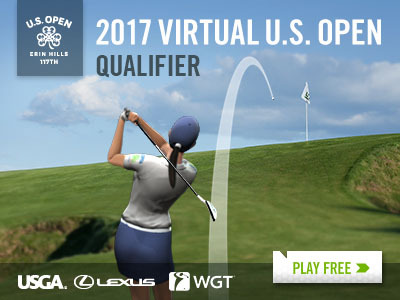 The 2017 Virtual U.S. Open is here! The main event of the 2017 Virtual U.S. Open kicks off this month with the full 18-hole Qualifier tournament. Play all 18 holes of full stroke play golf at Erin Hills, to compete for a Grand Prize trip to next year's U.S. Open at Shinnecock Hills. Experience every tee shot, bunker and roll of the green of the upcoming U.S. Open Championship, free on WGT. Chance to win a Grand Prize trip to the 2018 U.S. Open! Post your best score in this unlimited play tournament, see tournament rules for details and eligibility.